I almost hate bringing this place up now, seeing as Encounters has left for another dimension. 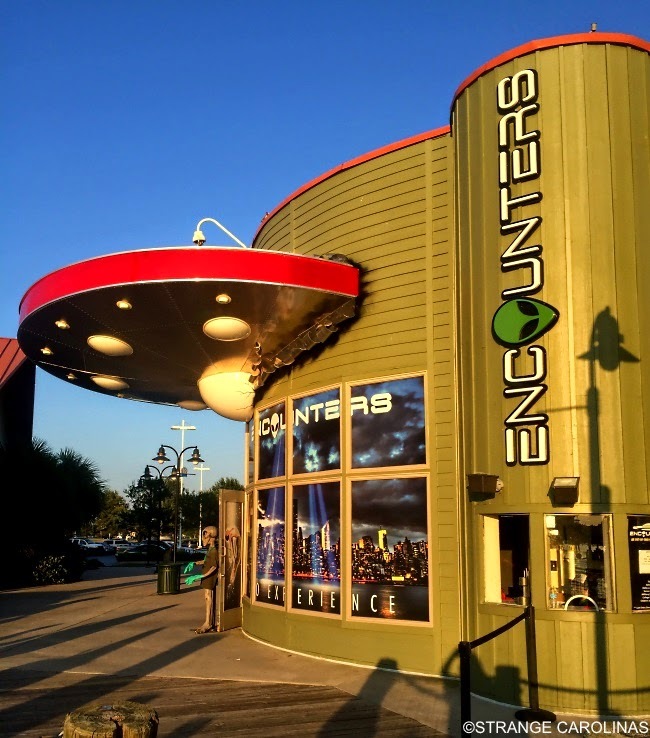 Encounters was an interactive UFO and alien museum, located at the Broadway At The Beach tourist attraction in Myrtle Beach, SC. 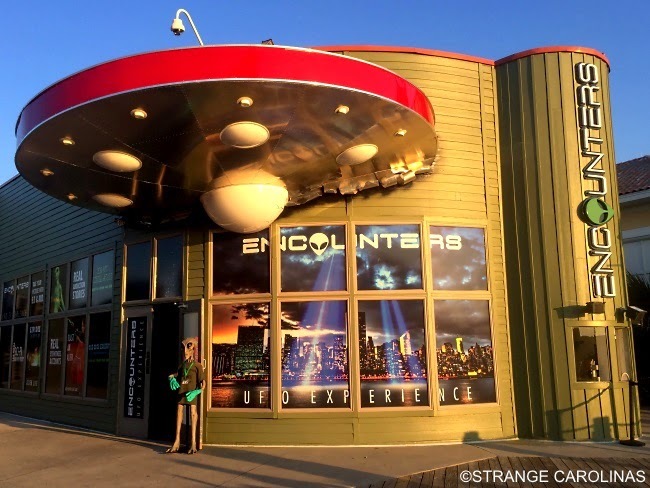 Yes, you read that correctly: Encounters was an interactive UFO and alien museum! Yet somehow it couldn't survive in Myrtle Beach. Maybe there's just too much run-of-the-mill strangeness lurking around every corner in Myrtle? For whatever reason, this place was either really loved or really hated. Personally, we enjoyed it. It was fun and a great way to spend a rainy afternoon. We went the first season it was open and almost went the second season. Kind of wish we did. If you're thinking about checking it out, I'm not even sure if the building is still intact. I took these photos in August of 2014 and things move pretty quickly at Broadway On The Beach. Hell, there's nothing left of the KISS Coffeehouse. No giant boots, nothing. 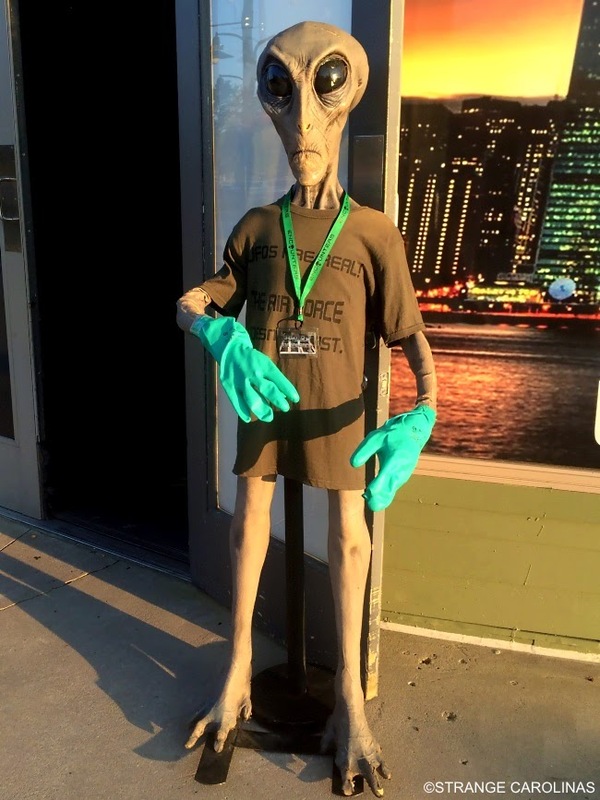 If the UFO hasn't already been dismantled, it probably won't be around this summer.